Did you know, it is estimated that the average person has between 50,000 – 70,000 thoughts per day? That’s between 35 – 48 thoughts per minute. It is estimated that 95% of these thoughts are repetitive, thoughts we’ve had the day before, and the day before that and so on. Sadly, upwards of 70% of these thoughts are found to be negative. I think it’s pretty safe to say that thinking takes up a lot of our day. I wonder though, how many of these thoughts are we actually aware we are thinking? Do we understand the incredible impact they can have on our day to day and long-term reality? In a lot of cases, I don’t know that we do and that’s a shame because unlocking the power of your thoughts can enable you to help change your life. At least, that’s what happened to me. Positive thinking can have a powerful effect on your life. My journey into really understanding just how powerful my thoughts are, began approximately 3.5 years ago when I was working with Sodashi as a therapist in a Sodashi Spa. I had completely fallen in love with the brand and decided my dream job was to work for the company as a trainer. At that point, this goal seemed unrealistic, unachievable even. How does one go about becoming a Sodashi trainer when there are no positions available? What are the next steps I needed to take? I had no idea. For the most part, all that I could do was think and believe with my entire being that it would happen and that my thoughts would become my reality. 3.5 years later I have just celebrated my second year as an international Sodashi trainer and am sitting here writing this blog post by the pool, in front of the water, in Thailand after finishing an amazing day training one of my beautiful Spa teams. But why? Why does changing and paying attention to our thoughts have such a profound effect on our lives? I mean, it’s no secret that being positive makes us feel better. But truth is, it goes so much deeper than that. I believe there is something much more significant and exciting at play. Energy can change to structure of water. 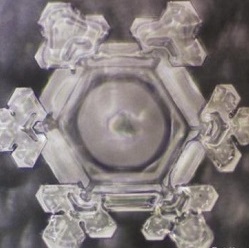 I am obsessed with the studies completed by Dr Emoto on the effects of positivity and negativity on water (if you haven’t heard of him, you can read about him here). His work has been able to prove that when water comes into contact with negative/ positive energy (through thought, music, words etc.) 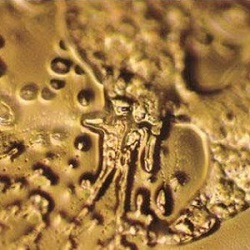 this energy changes the molecular structure of the water altering it for the better or for worse. Further to this, I came across an experiment he did called ‘The Rice Experiment.’ Simply put, he boiled rice and put it into two jars. 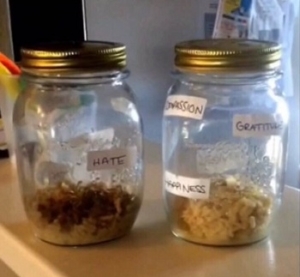 One jar had the label ‘Thank you’ and the other had ‘You Fool’ and each day for 30 days negative thoughts an intentions were put into one jar and positive into the other. At the end of the 30 days, the negative rice was black, mouldy and disgusting. The positive rice had barely changed! Amazing right? This is because the rice contained water and the thoughts and energy changed the molecular structure of the water and the rice was able to showcase the effect it had. When I saw this experiment, I could not wait to try it for myself! You see, I believe that every single thought we have sends out vibrations/energy that has the ability to impact ourselves and our surroundings. Think about it, this is something you feel every day! How do you feel when you walk into a room with a really negative person? You can feel it! How about when you walk into a room where an argument has taken place? You feel it! What if you walk into a clothes store at the shopping centre with positive helpful employees? I bet that store feels different than the one with the negative employees, as soon as you walk in. This exchange of thoughts and energy is happening all around us and inside us every single second, it just takes stopping and noticing it, thinking about it and feeling it to realise the life-altering impact it has. As a therapist first and trainer second a huge part of what I do and teach lies in the intention I and the therapists I instruct put into treatments. Ask any therapist I’ve ever trained and they will tell you how I go on and on about how ‘what they’re thinking and feeling’ during a treatment is just as important as the treatment itself. A therapist may perform a treatment perfectly but if they’re not positive about what they do, as a client you can feel that and whether you’re consciously aware of it or not, it’s going to affect the overall experience. My life has not been the same since. At first, this experiment was to show my therapists that their thoughts during a treatment had an impact, but I didn’t expect it to completely change my life. I always considered myself a very positive person however it wasn’t until I started paying close attention to my thoughts that I realised statistics were actually kind of true and maybe I wasn’t so positive after all. Slowly but surely I learned to rewire and retrain my brain to catch myself when a negative thought came up. Perhaps about myself, another person, an unfavourable situation, even traffic! The list goes on. And I would instead apologise and rephrase the thought with a positive spin. The law of attraction states that positivity attracts positivity. I don’t think it’s a coincidence that since making this change for myself that my world has changed in the most unbelievably beautiful and positive ways. The way I see it, you have over 50,000 chances per day to make a positive impact on your reality and the reality of those around you. But I suppose that brings us to something else entirely, the importance of being truly present in your day so you become more aware of what’s going through that beautiful, limitless mind of yours. But that’s another blog post altogether!